A traditional wall accent with farmhouse design in mind, this set of nine wall decorations is a study in abstract textures. Each individual decoration is a masterful work of art unto itself, using neutral shades of white, beige and gray to build distinctive depth and dimension from canvas to canvas. Hand-painted on composite wood, each art piece is framed in natural wood with a brown tone that complements the art's rustic nuances. Mark your territory with the tribal style of this set of three wood wall decorations. A single gold stripe goes against the grain of brown mango wood in a fine mixed media composition that combines organic materials with hints of metallic. Each wall accent's geometric chevron shape can be mounted in any direction as a decorative guideline to great design. Say hello to the signature style of this modern wall decoration with word art influences. The cursive greeting is cast from a single piece of metal and finished in antique gold for a touch of gilded luster. Mounted in an entryway or living room, this glamorous wall art piece welcomes every guest with chic salutations. This set of five metal wall art decorations looks otherworldly on interior walls everywhere. The sculptural forms of each modern art piece are crafted from metal, with silver leaf and gel accents that enhance the organic essence with argent luster. Installed in order of size or at random, the series of spherical shapes suggests shifting lunar phases as each gray orb evolves in a gradation of large and small circles. 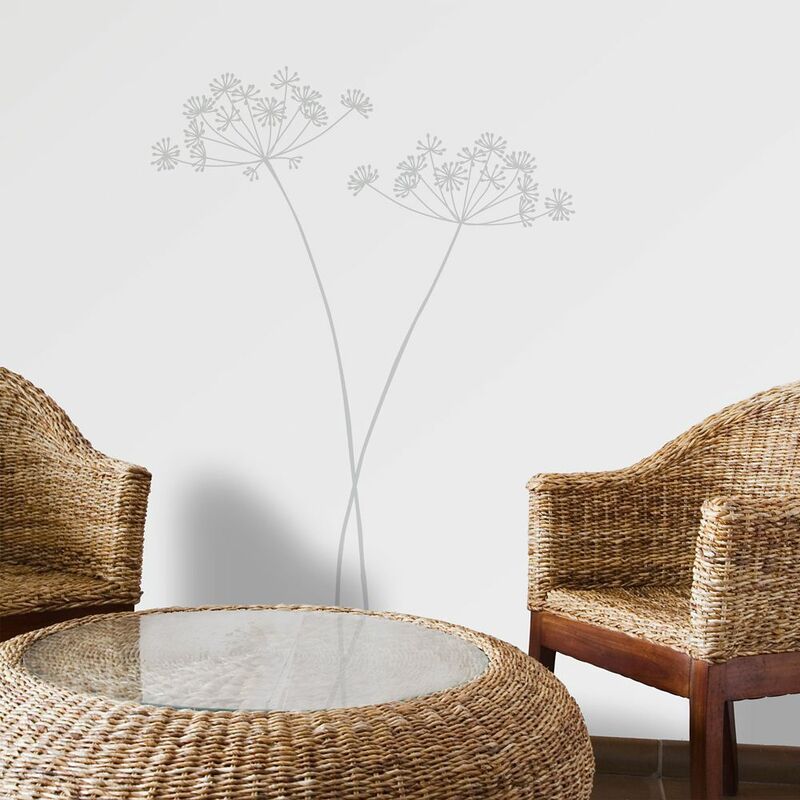 Solenzara This collection offers a wide variety of organic style decals that can be applied on walls, mirrors, appliances, windows or pretty much anywhere your want to add a touch of stylish and unique decoration.